Flowers are starting to bloom in and around Cape Town and South Africa, the mornings are getting slightly less biting and the sun is slowly starting to set a little later. Spring is just around the corner and oversized winter coats and being replaced by t-shirts and shorts. 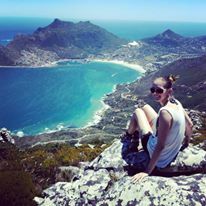 Spring is a wonderful time to be out there in the wild to experience not only the changing of the seasons and the blooming of certain kinds of flora but also to witness some of the great wildlife we have in South Africa. Here we asked 3 experts where they thought a good spring safari destination would be. This luxurious five star lodge is perfect for travelers looking for some pampering while nestled amongst Africa's dramatic landscape and exotic wildlife. It's also a food lover's dream with the welcoming lunch including a "make any request, not on the menu" policy. Its home to six tree house suites suspended in the treetops, all connected by elevated walkways. Each suite also comes with an additional "star bed" for romantic evenings sleeping underneath the stars. Guests are treated to two all-inclusive Land Rover safaris a day, all meals and drinks (excluding French Champagne and transfers to and from Singita's private airstrip). And with the end of the dry season welcoming in spring, there's no better time to visit and witness the wildlife South Africa is famous for! Visit their website for more information. Star gazing is one of the many great activities to be enjoyed at Singita Sweni in the Kruger National Park. nThambo is actually not quite in the Kruger, but rather in an area, called the Klaserie Game Reserve, of private property and ex-farms that removed their fences about 20 years ago in an attempt to let the land return to nature, and to enable conservation with tourist dollars. As a result, it’s cut up with dirt access roads to various properties and arcane laws about who can cross whose property to look at which animals. We would be bounding along on what often felt like a really big paintball range and encounter groups from other lodges parked just on the other side of a boundary road trying to get a glimpse of lions, fresh from a kill, which we are just meters away from them. The lodge itself has all the amenities of a great bush lodge and I’d recommend it for any game enthusiasts out there, looking to get away this spring. Copy adapted from The Anxiety of relaxation published in City Press. A beautiful pool area for some unwinding after a long day viewing game. There’s no place like home and if you live in the Eastern Cape, home is Addo National Park; an easily overlooked destination for a Safari getaway on the doorstep of Port Elizabeth. Addo National Park is not only home to the big 5 but it is also home to the big 7 with the largest remaining population of the flightless dung beetle. The hundreds of elephants roaming between the waterholes and spekboom trees are, needless to say, the highlight of the park and one can easily switch off the engine for hours to soak in every possible gentle giant moment. 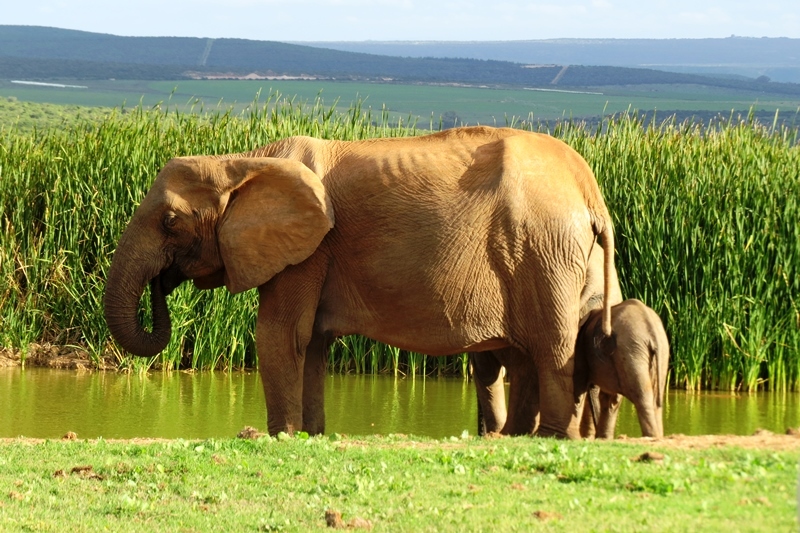 Elephants roam free at the Addo Elephant National Park.